Nalikolehua is my Hawaiian name, and it’s given to me unexpectedly one day in June 2014 during a Hawaiian spiritual massage called Lomilomi. I’ve heard that receiving a Hawaiian name during a Lomilomi session is quite rare; usually it’s given when a baby is born, or people ask priests for it purposely i.e. when they start a new business because a Hawaiian name carries great “mana”, spiritual power. And, in my case, it seems this: when a person enters a new phase of their life (quote from Hawaiian Names at Kapuaokalani.com) It was such a good timing. I was sitting on a chair on a small lovely terrace, receiving a soothing shoulder massage from Kumu Karen (“Kumu” means teacher in Hawaiian) and facing a green bank and stream from which a gentle breeze was blowing on my face. This place, which is her home, is located east of Honolulu and about 30 minutes from Waikiki. I liked the way she spoke. It was mellow and cheerful. “Oh! You have a Hawaiian name now. That’s wonderful!” said Kumu Karen, beaming at me. 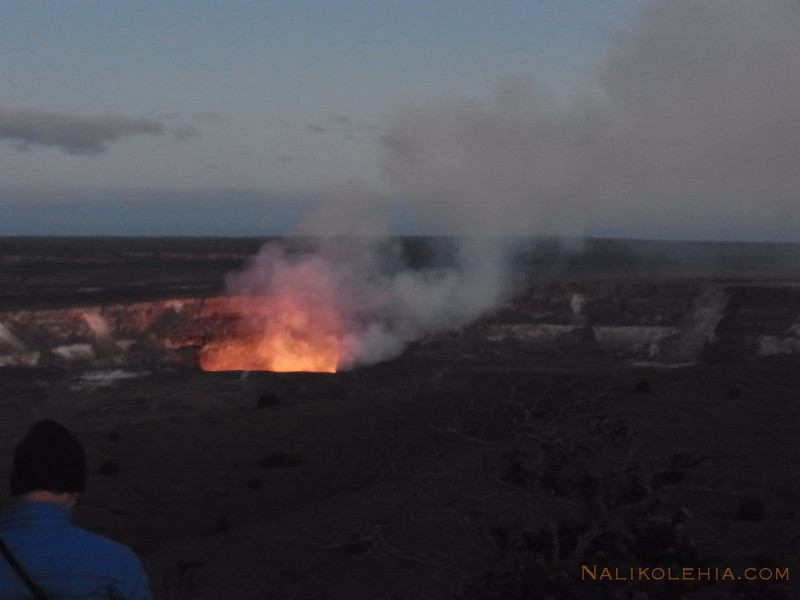 Kilauea’s Halemaumau Crater is the Pele’s home. She paused her massage and explained the meaning of my Hawaiian name: Liko means shoot, the first part of a plant to appear above the ground; Na means many; and Lehua is the name of a red flower that grows “first” on a lava plateau. I had visited a lava plateau on Kilauea and seen Lehua shoots a few days before the session and had been impressed by its story. Lehua is the first-born tree of Hawaii; its life force is so powerful that it grows when a lava plateau is covered with only moss and fern, and it can grow up to a height of 20 to 30 meters or more. The tree has a uniquely different name, Ohi’a, so people call the tree Ohi’a Lehua. 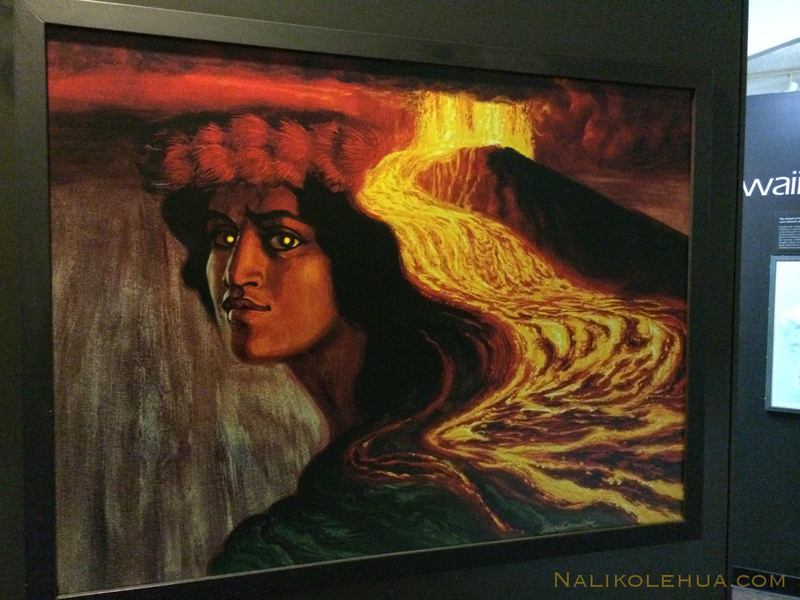 I liked the romantic myth about Ohi’a and Lehua: the short-tempered volcano goddess Pele met the handsome boy Ohi’a and asked him to marry her. But, he turned it down for his loved one. Pele was furious and turned him into a twisted tree. His girlfriend Lehua, who was devastated by the fact, begged the Pele’s sister to turn her into the flower on the Ohi’a tree so that they would be forever joined together—so, it is said that if you pluck the flower, that day it will rain. 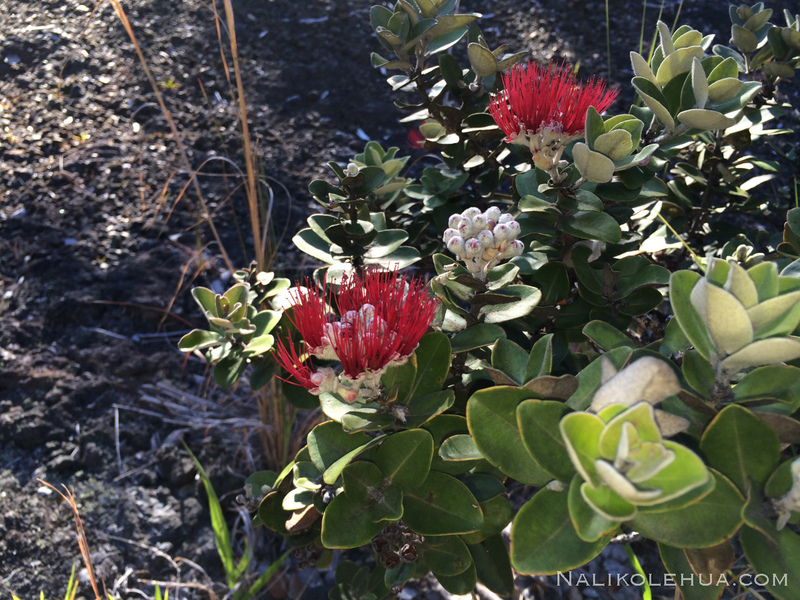 The name, Nalikolehua, gives me support to produce and deliver many things to the world, and the support is as powerful as the life force of Ohi’a Lehua and as strong as Lehua’s will. At that time, I was feeling lost because, though I had decided to quit the job, I didn’t know where to start and what to do with my new ideas. So, this name sounded too good to be mine. However, Kumu only encouraged me by saying that this name would support me while I did many new things in order to serve my life’s purpose. I was then convinced that it’s a gift from Gods that Kumu, who is also a “Kahuna” (which means priest in Hawaiian), delivered to me. 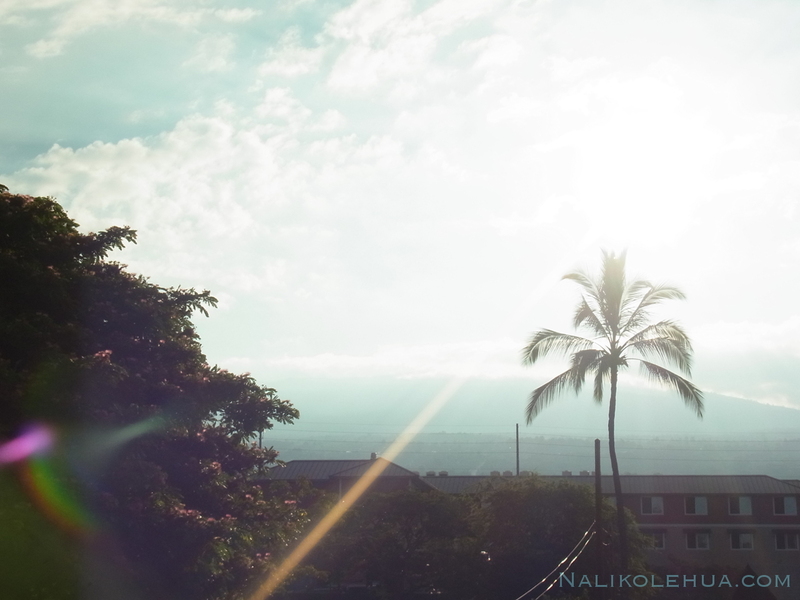 Whenever I say Nalikolehua, I feel a great vibration. I’m truly thankful for the blessing of this name. Hopefully, I’d deliver the same blessing to you sometime soon. The big tree at the left side in the photograph is the Ohi’a Lehua tree. This was taken from the second floor at the hotel.